Hi everyone, today's post is not fashion related but it is a topic very dear to my heart: Acne. I have been battling acne for about ten years. My constant breakouts and acne scars have really taken a toll on my self-esteem and I find myself struggling to find products that help. About a month ago I received the PMD Personal Microderm in the mail to review for my Youtube Channel and let me tell you, it is amazing! I have literally tried everything to get rid of my acne and to treat my acne scars. In my past ten years of battling with acne I have had laser treatment after laser treatment, chemical peels, painful extractions, bi-monthly microdermabrasion treatments and I even tried tons of drugs and topical creams prescribed by three different Dermatologists. Some of these treatments worked while others failed miserably. I did notice a great improvement in my acne and scars when I was getting regular microdermabrasion treatments but this slowly drained my bank account. I tried to find a local esthetician that would work with me on price but even then it was costly and scheduling was always an issue. I never imagined that I could get the same results from home for the price of 1-2 professional treatments. The PMD Personal Microderm is one of those products that once you try it you with think, "How did I ever live without this?" It may sound cliche but it is so true. My skin feels and looks better than it has in years. I can now give myself microdermabrasion treatments at home on my schedule. I'm over-joyed with this product. Below are the results I experienced from using my PMD a mere three times. I can only imagine how great I will be feeling about my skin down the road. 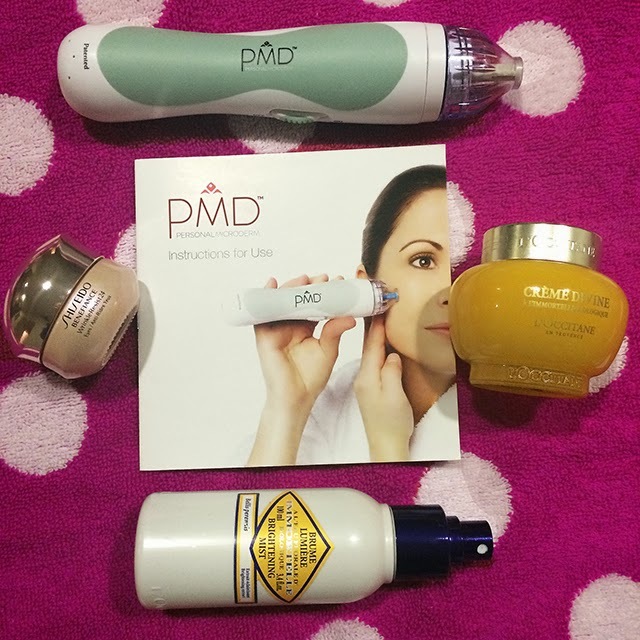 Right after using the PMD my skin felt energized and so so smooth. I was blown away by how soft my face felt to the touch. I finally felt like my skin was "glowing". 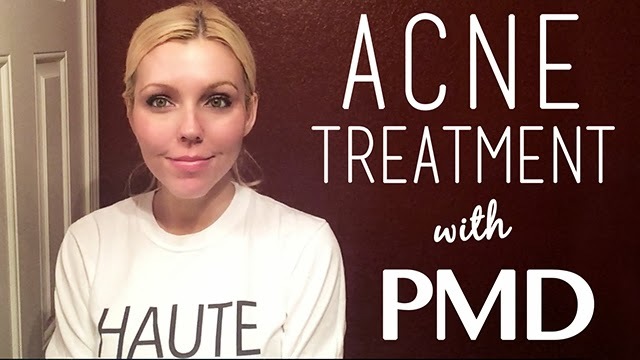 I noticed that after using the PMD the acne that I did have cleared up quicker than normal. If you are dealing with acne scars then you understand when I say that some days all you can focus on are those pot holes on your face while other days you don't notice the scars as much and you can feel an ounce of hope. These past three weeks of using my PMD I have noticed that my scars are not bugging me as much as they normally do. Which has given me hope for my acne scars and I have even caught myself smiling at my skin in the mirror. This product was sent to me but all of my opinions are my own.